* Increase Zone Projects from 3 Zones to 5 Zones during the 2018-2019 Lions year. * All clubs create 1 new service project in the 2018 - 2019 Lions year. 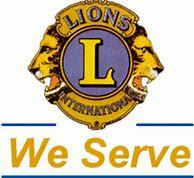 * Resources & information will be provided for training opportunities for all Lions. * Membership will increase by 32 members by June 30, 2019. * Women membership in the District will attain a percentage of 35% by June 30, 2019. * Add 1 new Lions Clubs in our District by June 30, 2019.